Django is a free, open-source, Python-based web framework. Django follows the MVC architectural pattern, with special emphasis on creating your applications rapidly. In recent times, Django has become a popular choice for creating web applications. Popular services like Instagram, Bitbucket and Pinterest were developed using Django. In development mode, Django has a development server, which is sufficient for testing purposes. Once you complete a web application and it's ready for production, the process of setting up the application on a server might be overwhelming for some, especially if you're doing it for the first time. This article provides a step-by-step guide on how to deploy Django-based web applications using mod_wsgi. WSGI, or Web Server Gateway Interface, is a Python standard for web servers. Python was traditionally developed as a programming language, so WSGI provides a way for web servers to serve applications developed in Python. It enables web applications in Python to interact with web servers, acting as a link between the two. Apache is one of the most popular web servers, and mod_wsgi is an Apache module that's used to host Python applications on Apache. It's also a relatively simple way of deploying a Django application. Python comes installed by default in Ubuntu 14.04. Let us now look at the step by step guide to deploy a Django application using mod_wsgi. In this section, we're going to install the required packages and set up a hello world Django application to be served by mod_wsgi. We'll assume that you've logged in to a newly created virtual machine. If you create a VM using AWS or Microsoft Azure, you're logged in as a user that you specified while creating the VM, so you can skip this step. There are some extra steps if you're first logged in as a root user (if you create a new VM with Digital Ocean). Although you can perform all functions using the same user, it's generally advised to create a new user. Here are detailed instructions for creating users and adding them to the sudoers list on Ubuntu 14.04.
apt-get installs the latest stable version of pip. Alternatively, if you require a specific version of pip, you can install it from the source code. However, for the purposes of deploying a Django application, installing it through the package manager should suffice. You can also use easy_install as an alternative to pip. However, in this tutorial, we'll use pip to install packages. You can also install Django through the package manager apt-get. Caution must be exercised when following this step as apt-get might not be updated with the latest stable version as compared to pip. If your system has other Python projects, the versions of different Python packages might interfere with one another. A solution to this is to use virtualenv and keep every project in its own virtual Python environment. Here's a tutorial on getting started with virtualenv. Since we're deploying an application on a server, we aren't going to work with virtualenv in this tutorial. pip freeze prints a list of installed Python packages in your current environment, and the > stores the output of the command pip freeze into the file requirements.txt. The code for the hello world Django application is available on GitHub. Now that we've created a hello world application, this section explores how you can configure different settings in order to serve the application through Apache and mod_wsgi. Here's a tutorial with detailed instructions on installing mod_wsgi on Ubuntu. This helps separate the logic, and you could also ignore the directory as a whole in your version control system. Note: if you're using a version control software (VCS) like Git, you can add the apache directory to the ignore list of the VCS. # Calculate the path based on the location of the WSGI script. # Add the path to 3rd party django application and to django itself. The first line adds an alias of /mypath to the root of your web application. Your web application would now run on your domain—http://www.mydomain.com/mypath/. 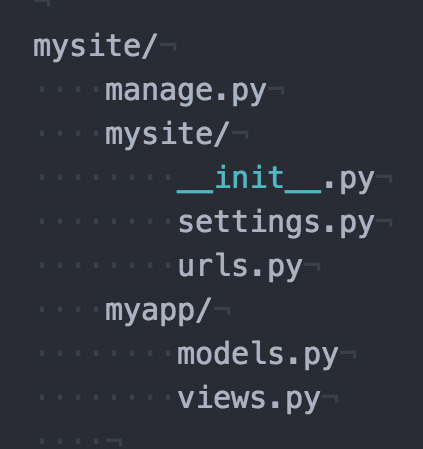 Replace /mypath/ above with / if you want your domain, http://www.mydomain.com/ , to directly point to the Django application. The <Directory> block is to allow requests to the directory that contains the WSGI script. In each of the lines above, the first argument after the keyword Alias signifies the URL pattern, and the second argument shows the path to the file to be served. This example assumes that your files robots.txt and favicon.ico are saved in the mysite directory. For Apache versions older than 2.4 (like the one in Ubuntu 12.04), you need to replace Require all granted by Allow from all after adding the line Order deny,allow above it. Some Django packages have their own static and media files. In the development version, it's taken care of by Django, but it doesn't work that way when serving through Apache (including the Django admin static files). The static files are usually located in the same place where packages are installed. An easy way to override them is to copy their static files to your static directory (and commit them), which is a rather messy solution. A better way would be to create an alias for the particular set of static files, just like you created alias entries for static and media roots. A discussion on StackOverflow gives an example of how to take care of the Django admin static and media files. You need to follow the same pattern for every other package that uses static and media files. 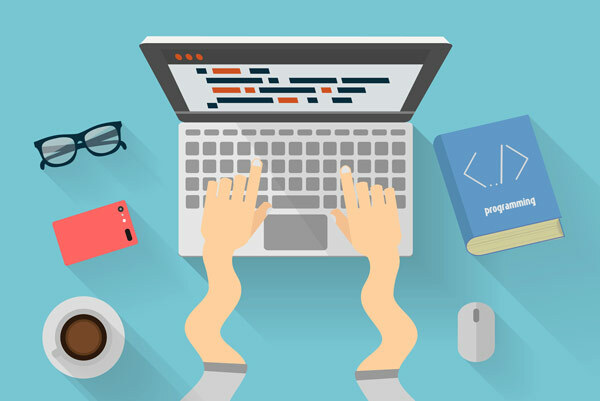 In recent years, Django has become the first choice among many programmers. Although many accuse Python of being slow, websites like Instagram and Disqus—which run on Django—have scaled to millions of users. If you're interested, you may want to read how HackerEarth scaled their Django-based web application using mod_wsgi. I hope this tutorial has helped you in deploying your Django-based web application on the server using Apache and mod_wsgi. If you faced any difficulties, let me know in the comments below.